Jeff Glucker August 28, 2018 Comment Now! Some fancy folks like to be chauffered in a limousine. Others with even more cash opt to travel in high style in a private jet. A company called Jetsetter, Inc. looked at both options and thought, why not combine the two? That's how the company came up with the Limo-Jet. 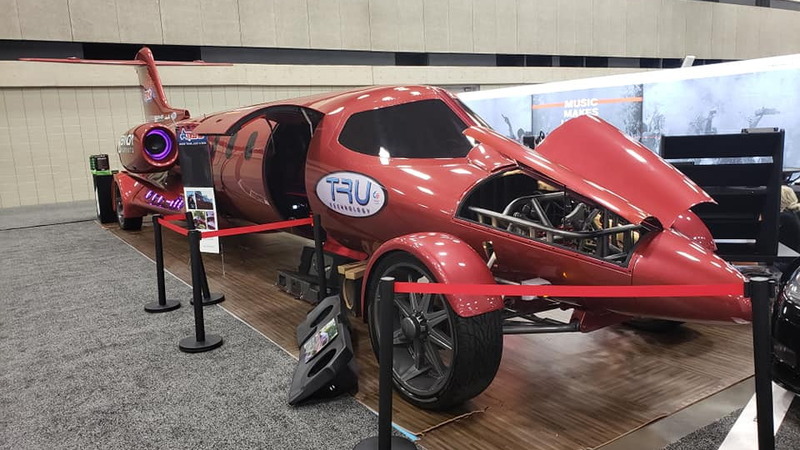 The Limo-Jet made its debut at KnowledgeFest in Dallas, which was held August 17-19. The plane upon which this limousine is based is a Lear Jet. Though it soars no more, it roars because it's loaded to the gills with audio gear. Guests will find a 4,500-watt stereo system that can likely replicate the noise once created by the jet engines. Or, they can just immerse themselves in an audio-visual experience by watching a show on one of the five onboard televisions. 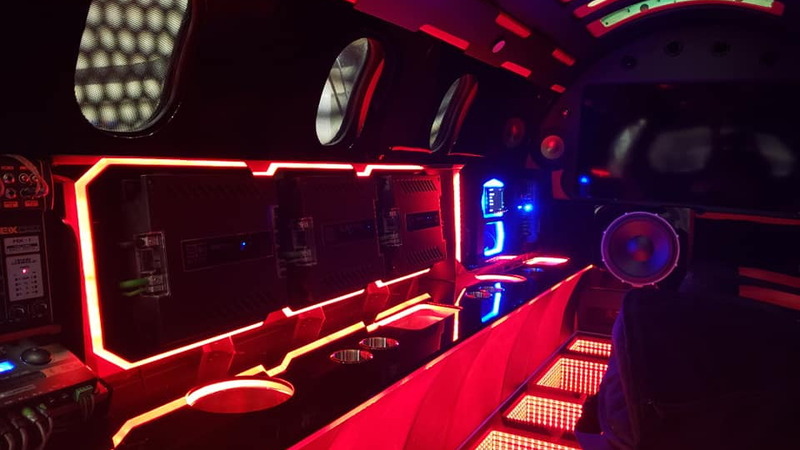 The cabin is loaded with lights, and it has enough seating for a frat house party. Everyone enters and exits through a single side door. The driver sits in the single seat up front to pilot this rig. 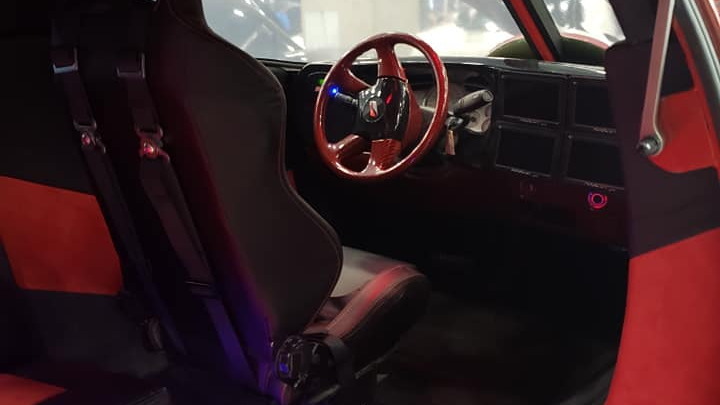 A steering wheel and pedals replace the yoke that an actual pilot might expect to find there. 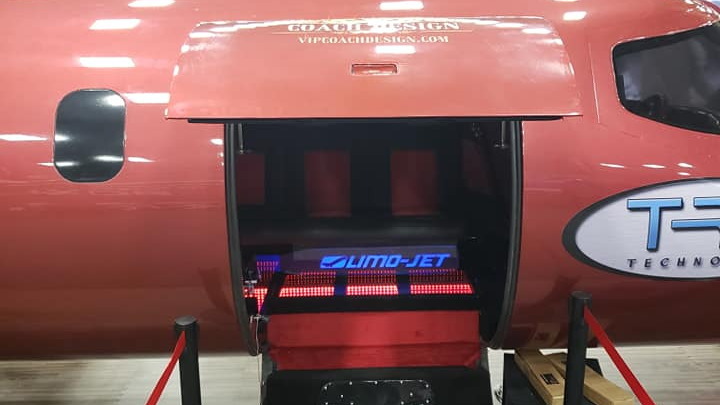 Motor1 spoke with Frank DeAngelo, one of the men behind the Limo-Jet, and learned the project spanned 12 years from start to finish. Racing shops helped fabricate the suspension components, and power is provided by a GM Vortec V-8. All-in, the rig is 42 feet long, the tail reaches 11.6 feet into the sky, and it tips the scales at 12,000 pounds while riding on 28-inch wheels. 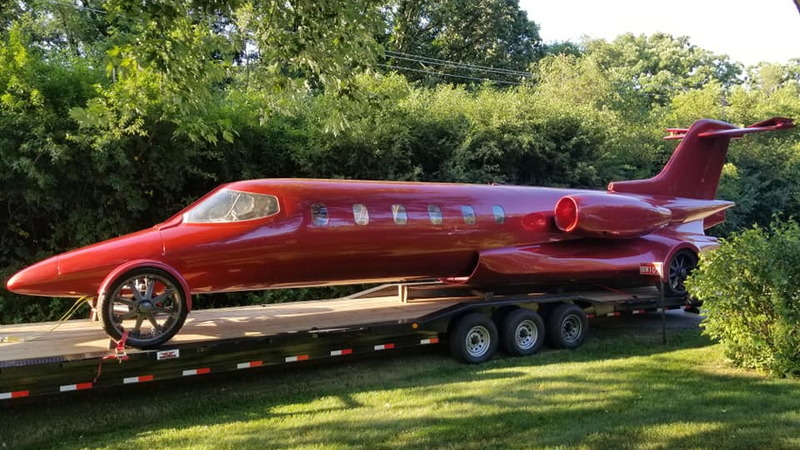 The Limo-Jet is a fun party trick and a bit of unique marketing. We have to imagine that it's quite a difficult machine to drive, though. Visibility to the rear is nonexistent, so cameras must be in use. The only true way to test this beast is to spend either a night driving it around or kicking back and enjoying the audio-visual feast along with a few adult beverages. Hey, Limo-Jet, come pick us up!